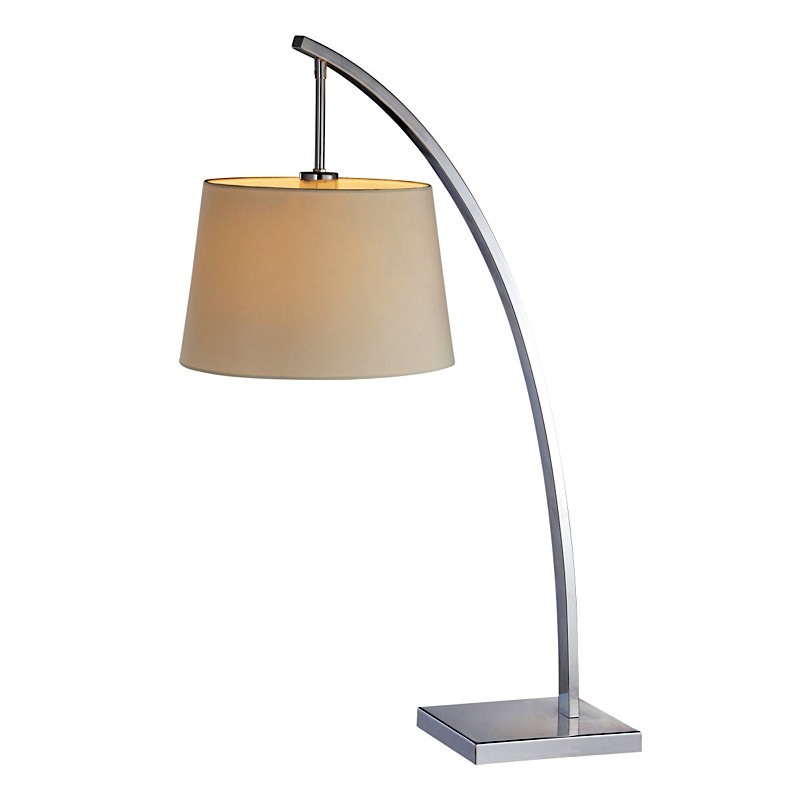 The clean, simple lines of the arced arm makes the Bennett Light Table Lamp a stunning addition to any tabletop in a modern, contemporary or transitional living space. The lamp is outfitted with a fabric shade that softens the illumination of the incandescent lighting; directing light downward and adding to the welcoming ambiance of any room in the home. A matching floor lamp is sold separately. The lamp requires an incandescent 60 watt, E26 bulb which is not included with the lamp. The shade dimensions are 12.7"w x 12.7"d x 8.3"h. 67" cord.